The cornerstone of the concord Collection is quality, and this pendant is no exception. Combining a classic black copper finish and posh styling, you will find no better way to highlight the charm of your home. With the superb craftsmanship and affordable price this fixture is sure to tastefully indulge your extravagant side. This item comes equipped with Amber glass. The Corinna combines mixed material with basic shapes creating a unique look. LED frames showcase hand made glass rings for a distinctively special design. The rings add a lightness to the overall style extending its beauty onto cascading shadows and reflected light. The Briarwood collection features a classic pattern commonly found on barn or farmhouse doors and gates. The simple geometric form features a faux-painted wood enclosure to frame vintage-style light bulbs. A coastal-inspired whitewashed finish paired with Graphite details. Tre is a series of classic metal shade pendants with an updated combination of finishes and features. A tri-arm support adds a sense of architectural and industrial detailing, while the vented shade allows for both downward and upward illumination. Light reflects off the inside of the Vintage Silver shade to provide the final finish effect. Gilded details accentuate the rustic elegance of this traditional flush-mount ceiling pendant light. Framed in black iron with subtly gold-painted highlights, clear glass panels capture the radiance of four light bulbs at the center of the fixture. The decorative light fixture is perfectly placed above an entryway or atrium, welcoming guests to the home with warm illumination. Incandescent bulbs included. 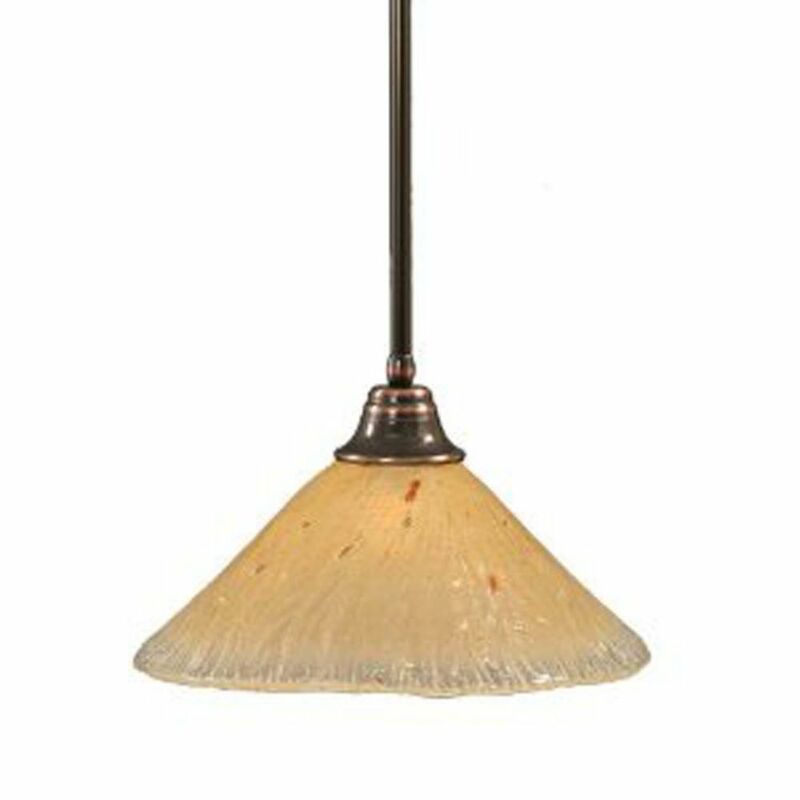 Concord 1-Light Ceiling Black Copper Pendant with an Amber Glass The cornerstone of the concord Collection is quality, and this pendant is no exception. Combining a classic black copper finish and posh styling, you will find no better way to highlight the charm of your home. With the superb craftsmanship and affordable price this fixture is sure to tastefully indulge your extravagant side.